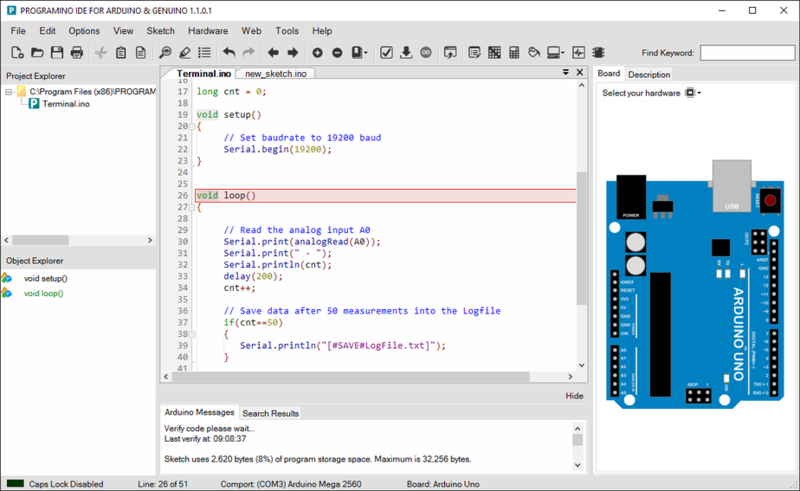 Programino is an alternative comfortable and easy-to-use IDE for the Arduino/Genuino or or compatible microcontroller boards. For all these languages is also syntax highlighting & code autocomplete supported. 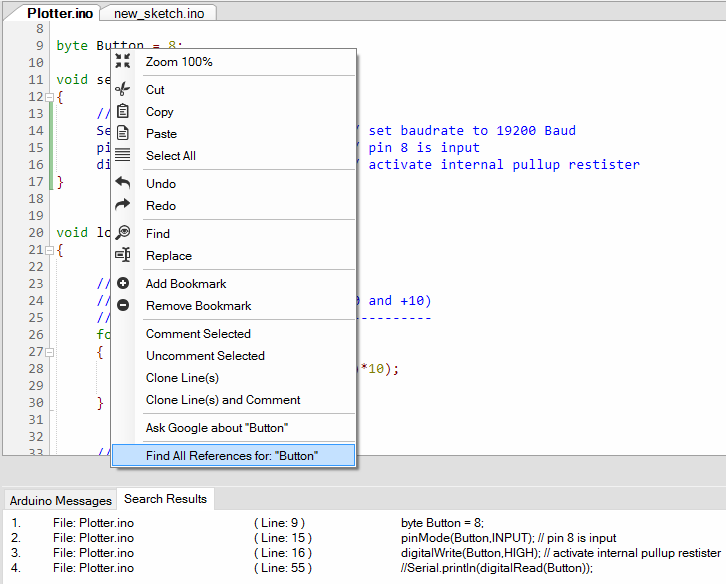 Customize your IDE and share the style with other users. 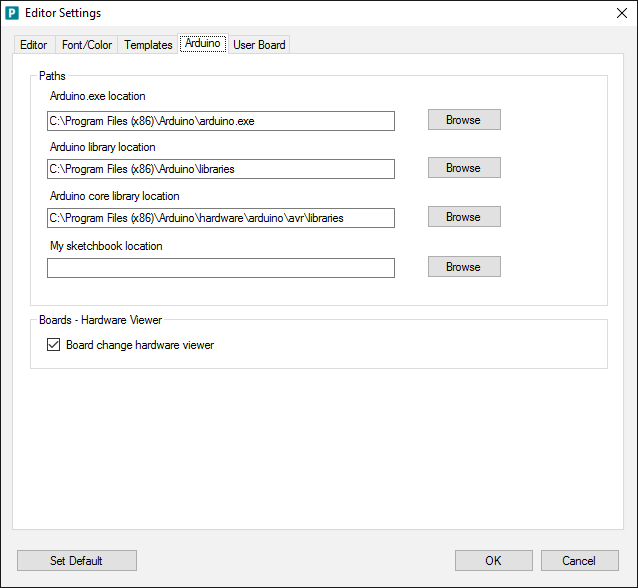 Programino has a import/export function for schemes. 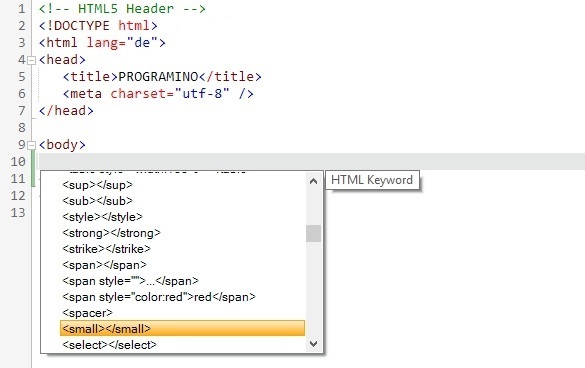 Programino supports dynamic syntax highlighting for user-variables. 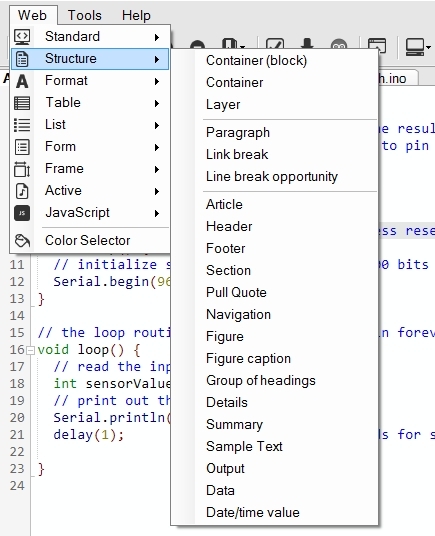 Code Autocompletion, Snippets and Information "hints"
This feature makes coding fast and easy. Frequently used commands can be accessed via snippets. General information (Hints) about the commands help you for faster programming. Code folding makes it more manageable. With a button in the toolbar, can all be folded or unfolded. It is also possible folding individual areas. So you can quickly find often used code sections (also between different files). 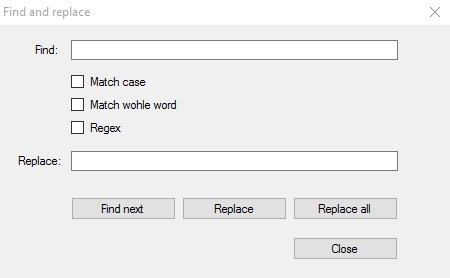 Advanced search and replace function with regex option. Advanced fast reference search function. 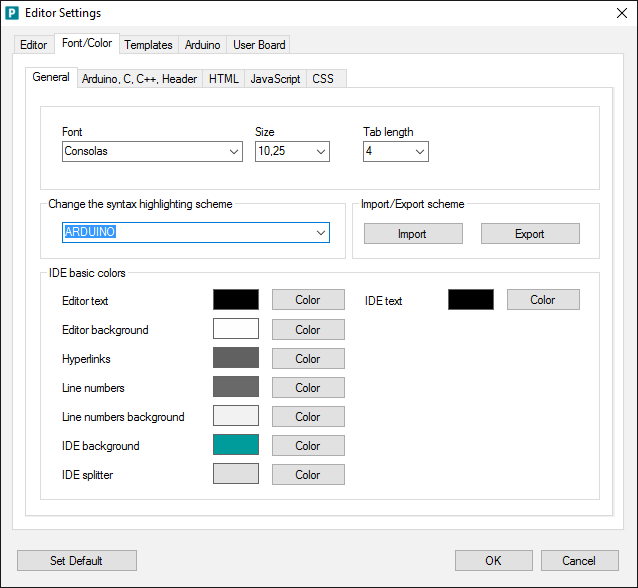 Font, color and IDE scheme settings. 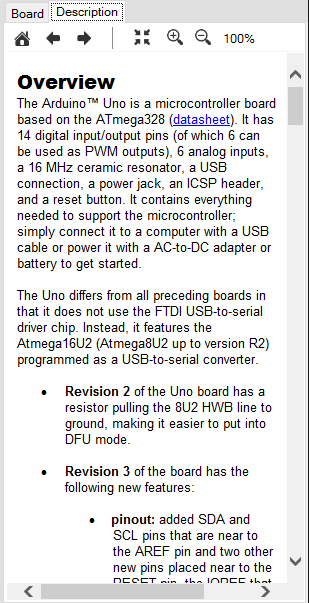 Arduino verify and upload settings. 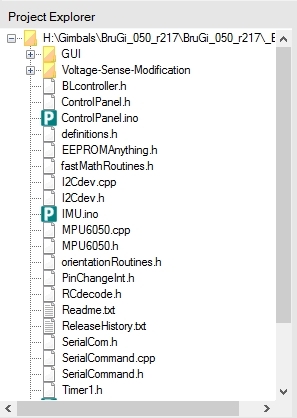 Configer your own user board (Teensy, eHajo, Atmel, Pretzel board etc.) or use a external programmer. Quickly open and add files to your project. 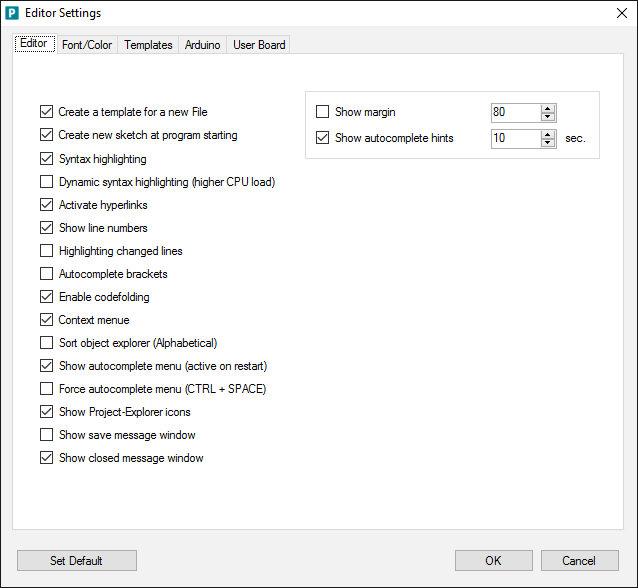 Find functions quickly in your program. Extract and stores the HexFile. 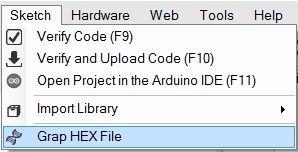 This Hex-File can be transferred with AVRDUDE or other Arduino bootloader tool on a board with a Arduino bootloader. 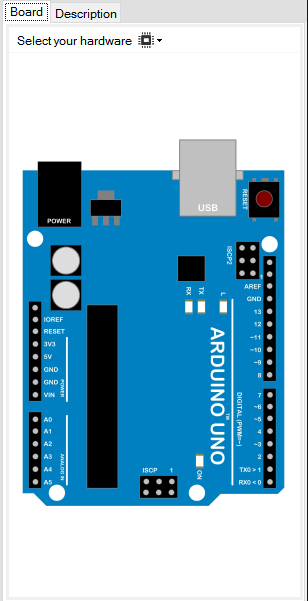 So you always have an overview of your Arduino and Genuino boards when programming. With the terminal you can communicate with the Arduino and Genuino boards. Baudrate between 300 and 250.000 Baud. Representation of the values in ASCII, HEX, BYTE and BIN. Open a serial terminal log file. 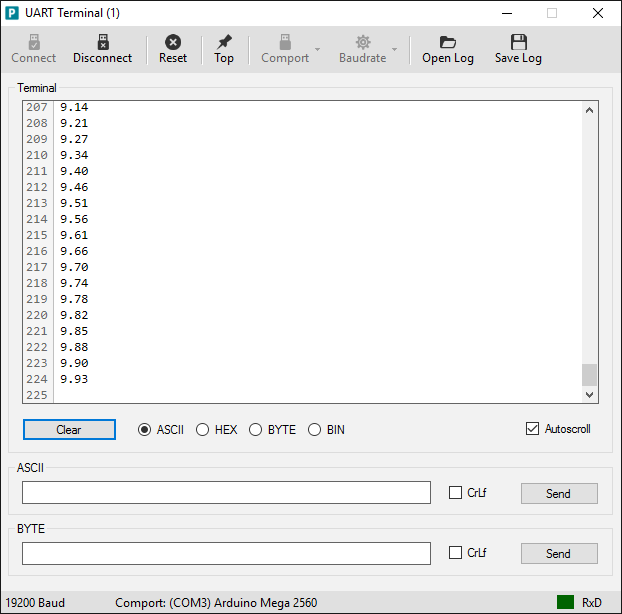 Save a serial terminal log file. #Home, #Save, #Clear - commands to control the terminal similar as a VT100 terminal. 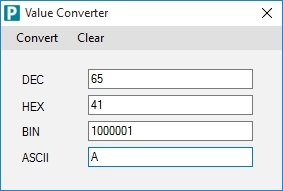 With this converter you can fast convert different values. You can define your own character and insert it easy as an array in your code. 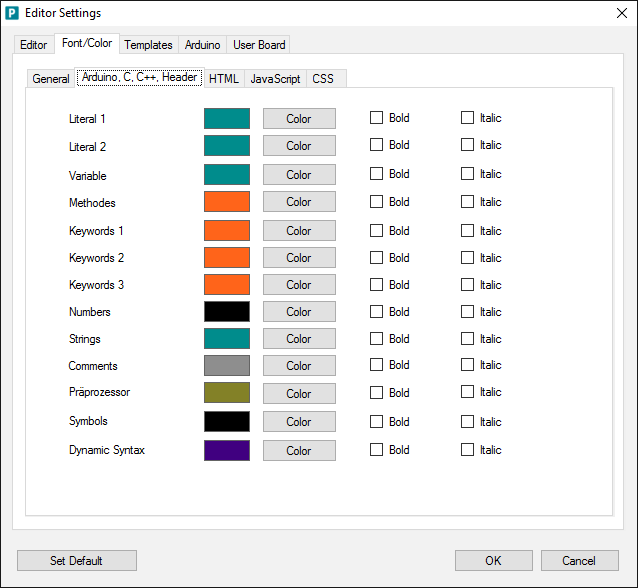 Easy RGB-Color selector for RGB-LEDs. To be able to take notes about the project. 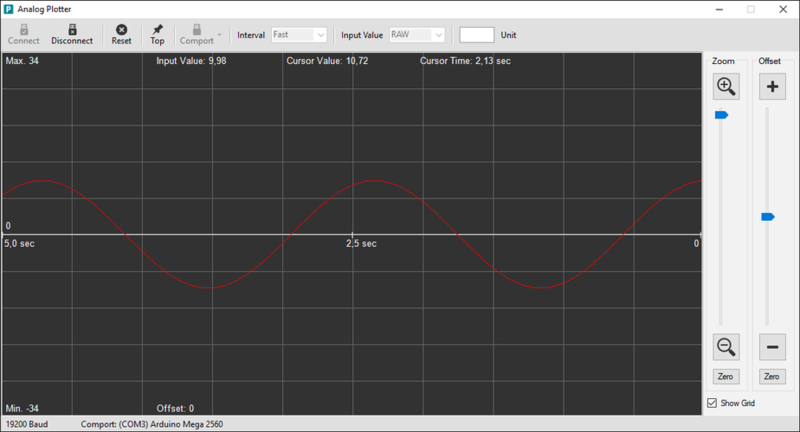 With the analog plotter you can graphically represent measurements. 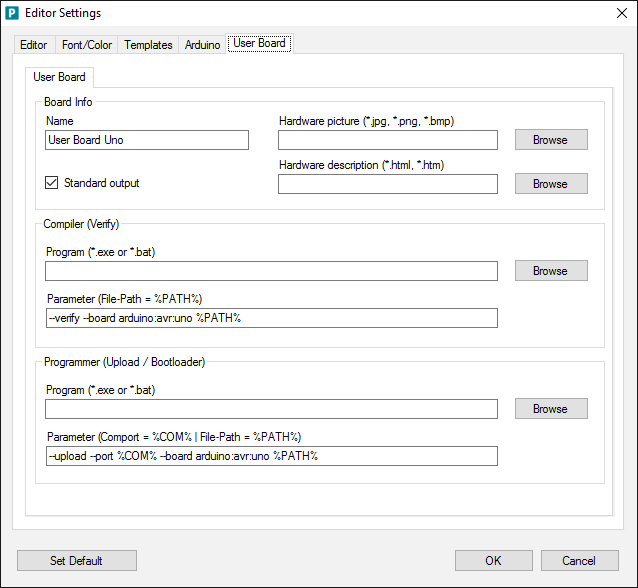 For boards that are not yet supported, you can use the export function. 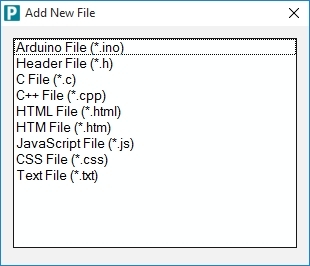 This feature is ideal for Arduino IDE versions that no command line support function have. 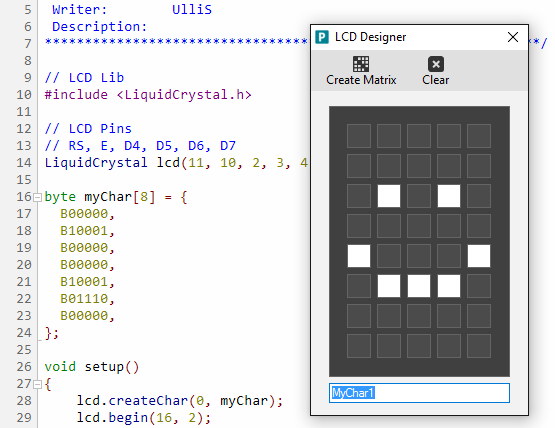 Ideal for older Arduino projects (Arduino IDE less 1.6 and *.pde files). 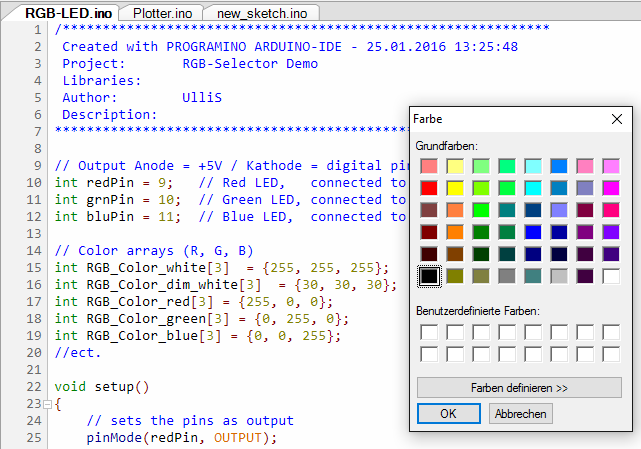 Programino automatically matches the installed Arduino libraries. 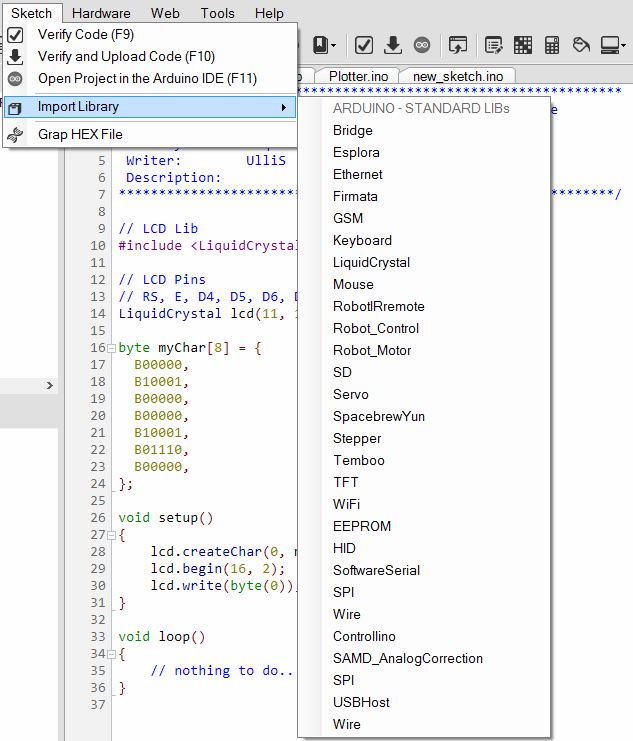 Install a new library with the original Arduino IDE (this is then available in the Programino IDE). 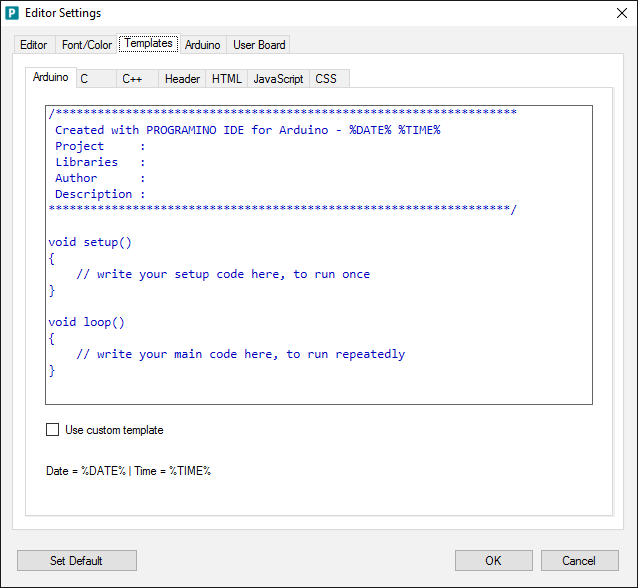 For IoT applications Programino IDE has a HTML editor and support HTML5. 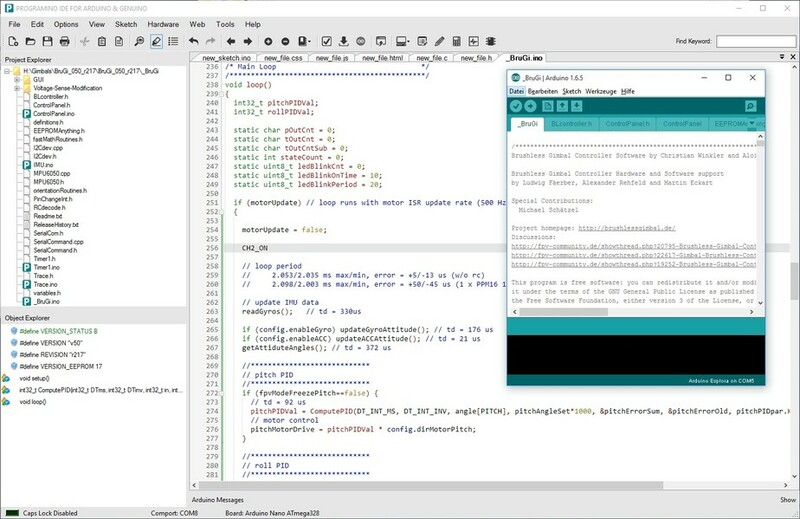 Make your own IoT application with Programino IDE. 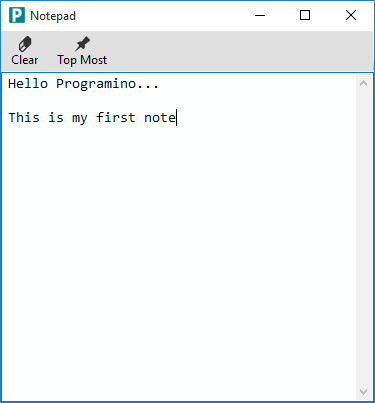 Copyright © 2018 PROGRAMINO Software. All rights reserved.